The festive season is upon us! Are you ready? For some, this time of year couldn’t have come quickly enough… but for most of us let’s just say, we’re looking festive decorating ideas that are high on impact and low on effort (and don’t require weeks of preparation and planning) because we already have enough to do! Sticking to just one or two colours in a room is a favourite trick of many interior designers. 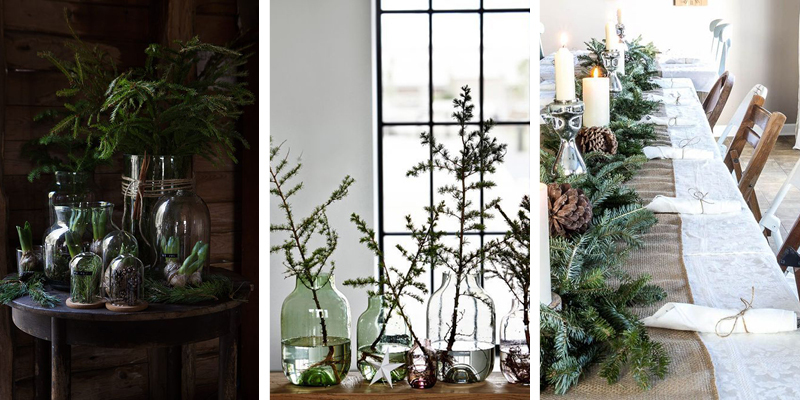 So for a beautifully cohesive festive scheme, choose decorations that already match your existing decor. If you have a neutral living room with taupes and beiges for example, go for pale gold and silver decorations and simple white lights. Or perhaps your décor is a little bolder? Select one or two key colours for all your festive decorations. There’s so much choice out there, so even if your walls are lime green (and who are we to judge!) there will be a bauble to suit! Have you noticed the trend for folded and cut paper crafts? Many of them are pretty enough to keep up all year round (especially if you aren’t too obvious with the Christmas motifs). 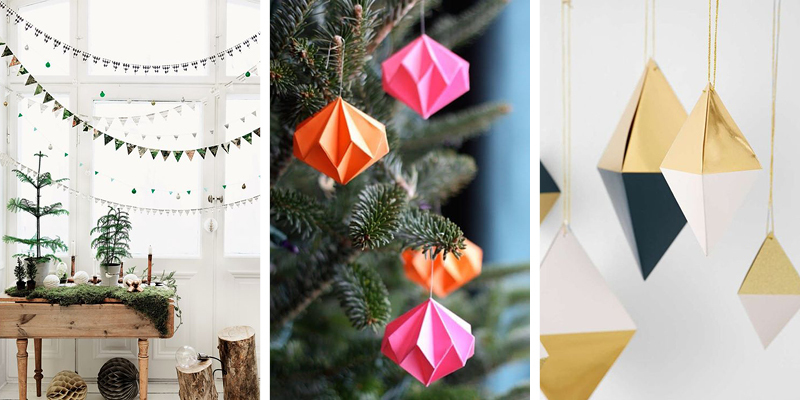 From simple mini bunting and paper chains, to intricately folded baubles, paper crafts can be really therapeutic to make once you get the hang of it, and you will treasure your homemade Christmas decorations for many years to come. Old sheet music, left over wrapping paper and unused wallpaper samples come in an array of patterns and colours so you can create a look that’s perfect for your home. According to retailer John Lewis, the big trend this Christmas 2018-19 is the rainbow tree. We think it’s adorable and deep down, we know you love it too! So if you’ve gone silver and blue one year, red the next and gold then next, this is the year to get all your decorations out and arrange them in colour groups for a magical rainbow effect. #Reuse #Recycle and all that! If all this talk of rainbow Christmas trends is a bit too much for your paired back style, stick to minimalist festive décor. You don’t even need a tree! Adorn your wall with a string of fairy lights in a simple Christmas tree shape and you’ll save on the hassle of having a real tree, and the environmental debate many of us battle with when it comes to artificial trees. Other ways to embrace minimalist Christmas décor include lighting plenty of candles (can you feel the hygge? ), wrapping gifts in simple, recyclable brown paper and keeping the tinsel to a minimum. 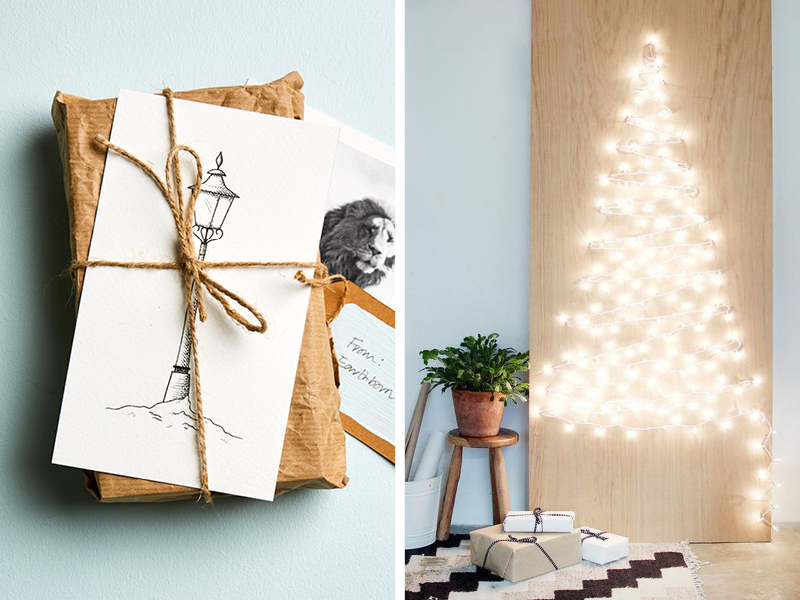 How will you be decorating your home for the festive season? Share your pics with us on our social channels below!